No other ingredients. 100% whey protein powder, therefore no added sweeteners, preservatives or flavours! 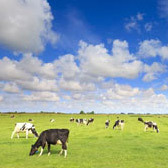 The moderate temperate climate of our dairy farmers farms allows cows to graze on fresh pasture all year round. 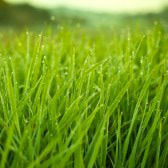 All farms are 100% organic which means they adhere to strict organic pasture management techniques which prohibit the use of synthetic chemical fertilisers. Our farmers raise a heritage breed of healthy cows. Our farmers are independently certified organic and ensure that animals are well managed and cared for. As part of the GMO free organic programme our farmers are verified to ensure they adhere to best practices to avoid GMO inclusion into the food chain. Liquid organic whey undergoes cold-processing, ultra filtration and a short period, low temperature drying to produce an all natural powdered organic whey protein concentrate. 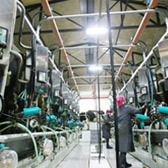 Whey processing facilities undergo strict and routine cleaning and inspection. Organic Daisy Whey Protein Concentrate is free from Acid and Bleach processes and is independently tested for impurities including heavy metals. Our all natural 100% organic whey protein concentrate is then carefully blended to create a fine whey powder readily usable in a variety of liquids. 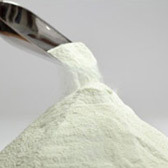 Whey concentrate packing is free from phthalates, heavy metals and genetically modified (GM) components. For shipping Organic Daisy Whey Protein Concentrate we use combined storage and container facilities which means our carbon footprint is shared and minimised. Final packing services to you, the end customer, uses recycled boxing and packing material. Organic daisy whey protein concentrate can be added to a smoothies, or mixed into milk, juice or water. Add one scoop and stir, blend or shake. Provides a light creamy natural taste. Raw whey is over 99% water. The whey is filtered via low temperature ultra-filtration. The excess water is separated, filtered and then reused within the plant. The packaging of organic daisy whey protein concentrate is done by a certified organic processor. Our packaging is free of phthalates, heavy metals, and genetically modified (GM) components. Wolfe, Am J Clin Nutr 72:551S-557S, 2000. Volpi et al. Am J Clin Nutr 78:250-58, 2003. Lands et al. J Appl Physiol 87:1381-85, 1999. Dernling et al. Ann Nutr Metab 44:21-29, 2000. Cribb et al. FASEB J 17;5:a592.20, 2003. Harper WJ. Biological Properties of Whey Components. A Review. Chicago, IL: The American Dairy Products Institute, 2000. Hoerr et al. Nutrition 16(7-8):711-713, 2000. Good service, exellent product, quick delivery. Convenient, wholesome whey protein is one the most difficult things to incorporate into a busy and active lifestyle, but it is vital to your health and wellbeing. Where your food comes from is important, and what goes into making the purest organic whey protein available is just as important as what does not. Organic Daisy whey protein concentrate starts with the finest natural and raw ingredients and does as little to them as possible. Our raw milk is produced by farmers who believe in the welfare and humane treatment of their animals. These cows graze year-round on fresh pasture of clover, rye other native grasses and foraging based greens. The raw milk produced is naturally high in conjugated linoleic acid (CLA's), lactoferrin and immunoglobulins. Our organic whey protein concentrate is produced to Soil Association organic certification standards which meets EU organic standards and is our guarantee to you that during milking, our cows have never been given hormones, antibiotics, steroids, or genetically modified feed (GMO). For the process to convert liquid whey to a powdered form we use industry leading processing techniques of cold-processed microfiltration and small batch drying to ensure the most nutrient dense whey protein powder. Each bag is hand packed under the direction of certified organic processor. Our packaging is done in an environmentally conscious facility.